10 Jabez cried out to the God of Israel, “Oh, that you wouldbless me and enlarge my territory! Let your hand be with me, and keep me from harm so that I will be free from pain.” And God granted his request. Jabez sounds like the Hebrew for pain. DAVID, GOLIATH & NOW ! Would pray to his God before he would sleep. A bear and a lion in search of a feast. Though still just a boy and not yet a man. 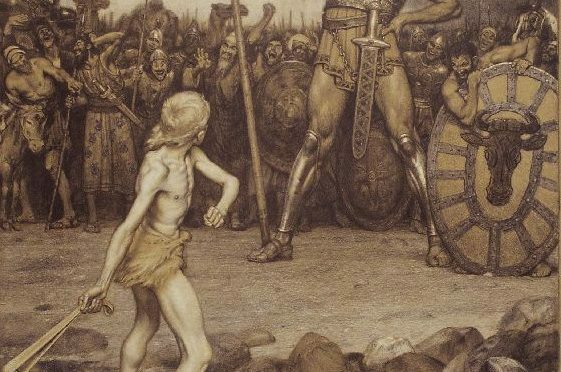 When he challenged the champion of the Philistine men. Made David more selective with the stones that he chose. Four more for his brothers who were laughing that day. Came forth to David to do him great harm. A stone from his sling popped the giant where he thinks. A thousand pound soldier lie dead on the ground. Then took it to Jerusalem to prove he was dead. THANK YOU FOR WHO YOU ARE IN YOUR HEART ? Tom’s 1,595 Poems Are Free To Share!